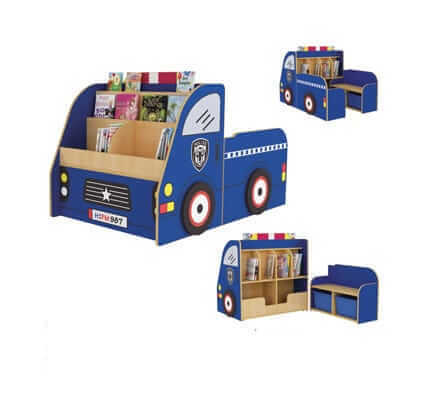 Children will be driven to read with this cleverly designed Police truck library centre. 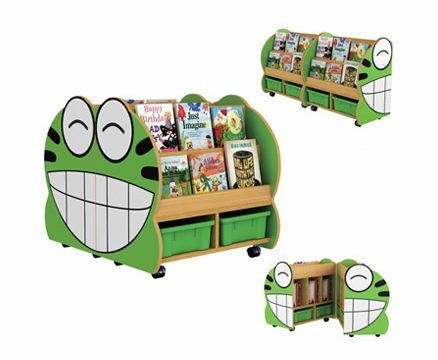 Featuring vertical book display and storage at the front and rear of the 'engine' unit with two modular seating units with additional under seat tub storage. Strong, durable, easy to clean and maintain, constructed from child safe materials. 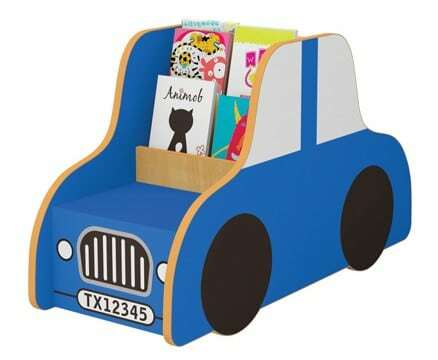 Children will be driven to read with this cleverly designed Police truck library centre. 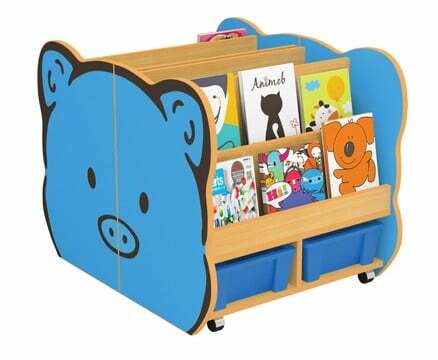 Featuring vertical book display and storage at the front and rear of the ‘engine’ unit with two modular seating units with additional under seat tub storage. 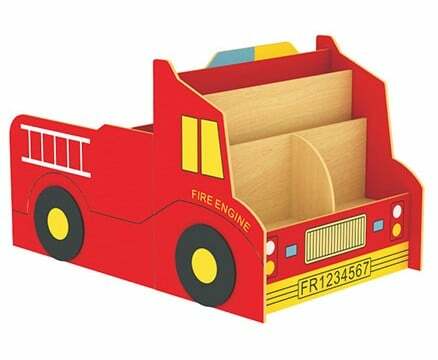 Strong, durable, easy to clean and maintain, constructed from child safe materials.